This statistic shows the distribution of internet users in Asia as of December 2017, sorted by country. 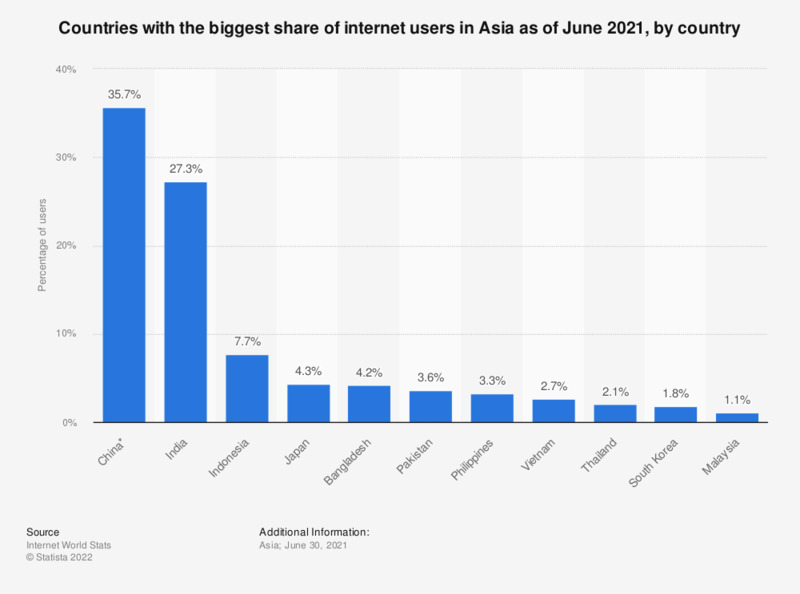 A geographic analysis of the audience found that China accounted for 38.9 percent of internet users in Asia, as of 30 June 2018, followed by India with 22.4 percent. *China figures do not include SAR Hong Kong, SAR Macao nor Taiwan, which are reported separately.